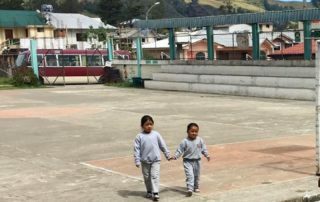 To date, we have treated 2700+ children in Ecuador and have provided over $850,000 in charitable contributions. DCI has been working in Cuenca, Ecuador since 2009. 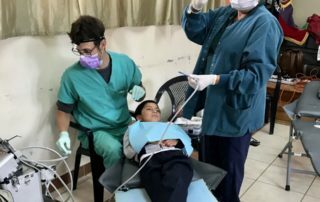 Each year DCI takes a team of volunteer dental professionals and non-dental professionals to provide dental services to rural school children in the Andes. 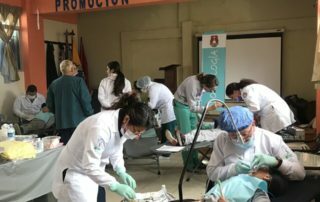 DCI collaborates with the local Ecuadorian dental school in running this community outreach program. 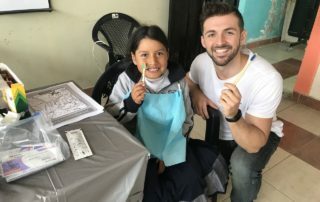 If you are a Dentists, Hygienist, Dental Assistant, or non-dental professional with a big heart and a desire to explore, a dental adventure is waiting for you! 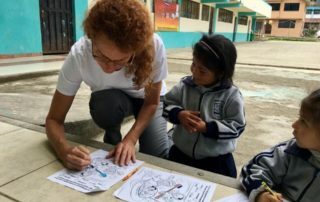 Click the volunteer tab below to learn when our next trip is. Cuenca (full name Santa Ana de los cuatro ríos de Cuenca) is the third largest city in Ecuador in terms of population. It is located in the Sierra, the highlands of Ecuador, nearly 8,200 feet (2,500 m) above sea level. The chief industry is weaving Panama hats. The center of the city is listed as a UNESCOWorld Heritage Trust site because of its historical buildings, some dating to the sixteenth and seventeenth centuries. Cuenca is a fine example of a planned inland Spanish colonial city. The original settlement was conquered by the Incas less than 50 years before the conquistadors landed. Inca ruler Tupac Yupanqui ordered the construction of a grand city to serve as a second Inca capital. Incas relayed stories to the Spanish of golden temples and other wonders, but by the time the Spaniards found the legendary city, all that remained were ruins, leaving uncertainty over what caused the city’s demise. For that reason, Cuenca is considered a candidate for the mythical city of gold, El Dorado, which itself is believed to have been burned by the inhabitants themselves in response to rumors of Spanish conquests. Cuenca, capital of the province of Azuay, is located in the Andes in the southern region of Ecuador. The city ranges from 2,350 to 2,550 meters above sea level. The dominant features of the city’s geography are also the source of its name: four rivers (the Tomebamba, Yanuncay, Tarqui, and Machangara, in order of importance). The first three rivers originate in the Páramo of Parque Nacional Cajas to the west of the city. These four rivers are part of the Amazon River watershed. Cuenca (meaning a basin caused by a confluence of rivers) is surrounded by mountains on all sides, with passes to the west, south, and east. 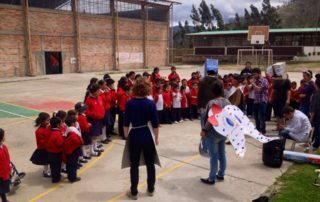 Like the rest of the Ecuadorian Andes, Cuenca enjoys a mild climate year-round. Days are generally warm and nights are cool. The average daily temperature is 15 degrees Celsius. There are two seasons: rainy and dry. The dry season, with some variation, falls between June and December. The rainy season, which is characterized by bright sunny mornings and afternoon showers, falls between January and May. The heaviest rains come in the invierno of March, April, and May. According to archeological discoveries in the Chopsi cave, the origins of the first inhabitants go back to about 8060 B.C.E. The ruins are a group of rock engravings housed in a cave consisting of large quadrangular buildings surrounded by smaller ones, enclosed in a stone wall. They were hunters and nomads. Tools like arrows and spears have been found throughout the Andean valley. The early inhabitants used the stable climate, fertile soil, and abundant water to develop agriculture. They grew potatoes, melloco (a juicy plant with a creeping stem, the sprouts of which swell at the tips into tubers), chocho (a type of gourd), squash, and quinoa, to name a few. They also domesticated animals such as cuy (guinea pigs), llamas, and alpacas. Their technology also advanced; they started using ceramics, which are the main archaeological material from which to study their culture. Little has been found from the period between 5000 and 2000 B.C.E. A more organized society began around 2000 B.C.E., demonstrating delegated responsibilities like managing water and control of plagues, and there was a differentiation between administrative and religious authorities (known as shamans). This occurred during the Periods of Chaullabamba, Huayco, Pirincay, Monjas, Putushio, Huancarcucho, and Jubones. From then until 500 C.E. began the periods of Tacalshapa III and Cañari. The Cañari settlement called Guapondeleg is believed to have been founded around 500 C.E.Guapondeleg translates into “land as big as heaven.” Less than half a century before the conquistadors landed, the Incas, after a bitter struggle, conquered the Cañari and occupied Guapondeleg and the surrounding area. Though the Incas replaced the Cañari architecture with their own, they did not suppress the Cañari or their impressive achievements in astronomy and agriculture. These, as was customary for the Incas, were absorbed into their culture. The city was then renamed Tomebamba. Shortly after the defeat of the Cañari, Inca commander Tupac Yupanqui ordered the construction of a grand city—Pumapungo, “the door of the Puma”—whose magnificence was to challenge that of the Inca capital of Cuzco. Indians relayed stories to the Spanish of golden temples and other wonders, but by the time the Spaniards found the legendary city all that remained were ruins, leaving uncertainty about what happened to the fabled splendor and riches of the second Inca capital. After being abandoned by the Cañari and then the Incas, Cuenca was sparsely populated until the 1550s. Cuenca is considered a candidate for the mythical city of gold, El Dorado. El Dorado is believed to have been burned by the inhabitants themselves when rumors arose of Spanish conquests. Tomebamba’s destruction by its inhabitants prior to the arrival of the Spanish lends credence to the theory that it was El Dorado. The city of Cuenca was founded on April 12, 1557, by the Spanish explorer Gil Ramírez Dávalos. The foundation of the city was commissioned by Andrés Hurtado de Mendoza, the Viceroy of Peru at the time. Hurtado de Mendoza had the city named after his hometown of Cuenca, Spain. The date of the foundation is notably later than other major Ecuadorian cities founded at the time, such as Quito(1534), Guayaquil (1538), and Loja (1548). This inland colonial town was founded on the rigorous planning guidelines issued 30 years earlier by the Spanish king, Charles V. Cuenca still observes the formal orthogonal town plan, which it has respected for 400 years. Today, Cuenca illustrates the successful implantation of the principles of Renaissance urban planning in the Americas. Its layout also demonstrates the successful fusion of different societies and cultures in Latin America. Cuenca achieved its independence on November 3, 1820. Cuenca’s population and importance grew steadily during the colonial era and reached the peak of its importance in the first years of Ecuador’s independence; it became the capital of one of the three provinces that made up the nascent republic. The other two capitals were Guayaquil and Quito. 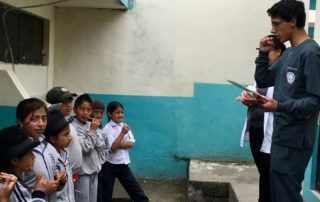 As per the last INEC estimate for 2015, the population of the Cuenca canton was 580,000 inhabitants, of which 400,000 constitute the urban population (i.e., the population of the city proper). The economic development is based on industry and agricultural development. Cuenca Metropolitan Area includes the cities of Azogues, Biblian and Deleg in the cañar province and the cities of Paute and Gualaceo in the Azuay province with a population of 730,000 inhabitants, however, Cuenca’s influence in the cultural, economic and educational areas extends to all the remaining cities 50 miles (80 kilometers) around. Cuenca is in one of the richest agricultural basins of the Ecuadorian Andes and is the commercial center of southern Ecuador. Although isolated from the north and the coast until roads were cut through the Andes in the 1950s, the city has modernized in recent years and tourism is on the increase. Economic development is based on industry and agricultural development. Cuenca has a longtime reputation for being a university city. 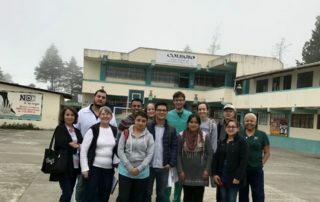 It hosts two universities, the oldest and best known being the University of Cuenca, a public university with about 12,000 students, and the other the University of Azuay. One of the region’s agricultural and administrative centers, it has been a melting pot for local and immigrant populations. Much of the quinine bark of Ecuador is shipped from Cuenca, and the city is also a center for the trimming, stitching, and shipping of Panama hats, so called because of their former center of distribution. Other industries in the city are the refining of sugar, the manufacture of woolen goods and pottery, and the shipping of grain, hides, and cheese. Vendors sell handcrafted products such as shawls, metalwork, jewelry, ceramics, and clothes. Most tourists visit the historic area, which is a UNESCO World Heritage Site, located between the river Tomebamba and the streets Gran Colombia to the north, General Torres to the west, and Hermano Miguel to the east. This area’s compactness, grid-like layout, and numerous readily identifiable monuments make it easy to navigate. Outside this area, the city can be confusing, as there are dozens of narrow colonial streets with similar buildings. There are 52 churches in the historic area, though many are closed now due to lack of priests. The city is also famous for hosting an International Art Fair. The most impressive of the city’s many museums are Banco Central, Casa de la Cultura, Conceptas Convent, Remigio Crespo Toral, Artes Populares de América, Arte Moderno, and Instituto Azuayo de Folclore. Major fiestas of Cuenca come at the time of the “Mass of Children” that is carried out the day of the Arrival of Kings (January 6, Epiphany Day), or in the commemoration of the independence of the city (November 3), during which processions, cultural acts, and dances are organized. May 2 is the Festival of the Crosses. El Septenario begins with the Festival of Corpus Cristi, which lasts eight days and includes fireworks, processions, and concerts performed by brass bands. December’s Pase del Niño, a festival that mixes folklore and religion, is probably Cuenca’s most famous festival. The nearby Cañar plantation (in the county of the same name) features the largest Inca ruins in Ecuador. It was built in 1557, but soon was too small and in 1880, it was decided to build a replacement. At the present time, the old cathedral is in the process of restoration. It is no longer consecrated and is operated as a museum. Its towers are truncated due to a calculation error by the architect. If they had been raised to their planned height, the foundation would not have been able to bear the weight. Nevertheless, the cathedral is a monumental work in Neo-Gothic style, and its blue and white domes have become a symbol for the city. Its facade is made of alabaster and local marble, while the floor is covered with pink marble, brought from Carrara, Italy. It can hold close to 10,000 people. Located in the center of Cuenca, between the old and new cathedrals. In the atrium a colorful flower market supplements the beauty of the church, which was founded in 1682. A sculpted stone facade and golden pulpit adorn the church. Tombs of the seventeen century and a collection of religious art are part of this exhibition. Four niches of Inca origin are found here. Their form is trapezoidal and they are built of stone. There are also remains of a colonial mill. While the economy of Cuenca has been relatively stable, especially in comparison with other parts of the country, economic problems in Ecuador in the late twentieth century had adverse effects on the city. Lack of sufficient employment opportunities increased migration to other countries, especially among young men. 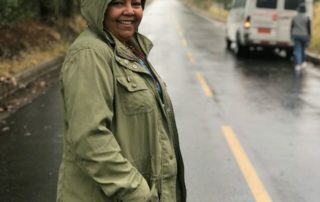 The incomes that these workers send home to their families is considerable and is believed, along with tourism, to have driven the economy of the city since the mid-1990s. While the migratory income has had a positive impact on the economic sector, it has created concerns within the social sector. The family structure has changed, creating many female heads of households. Fathers and elder brothers often remain thousands of miles from home for years at a time. This situation has caused increases in alcoholism and drug addiction among young people as well as family disintegration. It has also resulted in the reduction of available workers in local productive activities. In spite of these problems, Cuenca has its strong points. It is known as the “Atenas del Ecuador” (Athens of Ecuador) because of its historical participation in culture, arts, and national politics, as well as the influence of the University. It is believed that the city’s socio-economic dynamic is such that it can promote its own development on the basis of human capital, a high economic situation compared to the rest of the country, and impressive levels of public-private cooperation. ↑ GoEcuador.com, Chopsi Ruins. Retrieved February 13, 2009. ↑ EcuadorExlorer, All About Cuenca Ecuador Retrieved July 22, 2016. Hamre, Bonnie. Cuenca, Ecuador—City of flowers and Athens of the Andes. About.com. Retrieved February 13, 2009. Jamieson, Ross W. 2002. Domestic Architecture and Power the Historical Archaeology of Colonial Ecuador. Contributions to global historical archaeology. New York: Kluwer Academic Publishers. ISBN 9780306471728. Malo, C. 1991. Cuenca, Ecuador. Quito: Ediciones Libri Mundi, E. Grosse-Luemern. ISBN 9789978990223. UNESCO World Heritage Centre. Historic Centre of Santa Ana de los Ríos de Cuenca. Retrieved February 13, 2009.